On Their Own tells the compelling stories of ten young people whose lives are full of promise, but who face economic and social barriers stemming from the disruptions of foster care. This book calls for action to provide youth in foster care the same opportunities on the road to adulthood that most of our youth take for granted--access to higher education, vocational training, medical care, housing, and relationships within their communities. On Their Own is meant to serve as a clarion call not only to policymakers, but to all Americans who care about the future of our young people. About Gary Stangler (Author) : Gary Stangler is a published author. Published credits of Gary Stangler include On Their Own: What Happens to Kids When They Age Out of the Foster Care System?. About Martha Shirk (Author) : Martha Shirk is a published author. 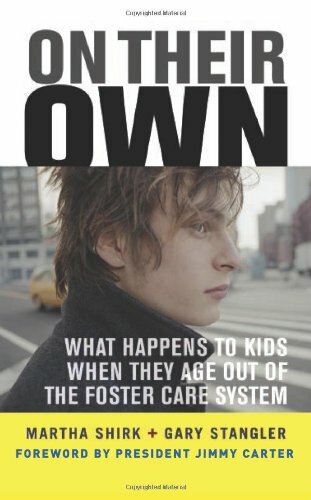 Published credits of Martha Shirk include On Their Own: What Happens to Kids When They Age Out of the Foster Care System?.